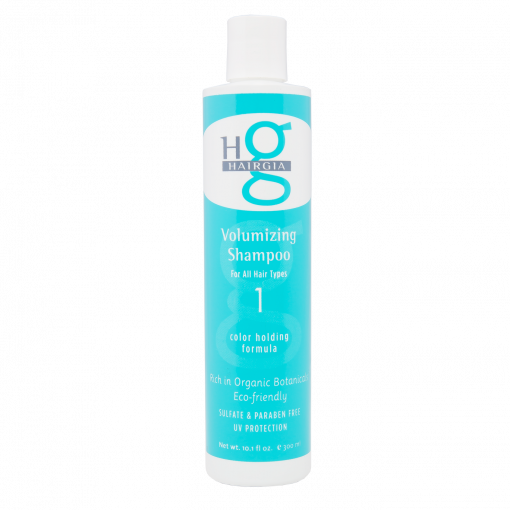 HairGia Volumizing Shampoo 1 has been specially designed to moisturize and strengthen hair. It is formulated with natural botanicals and wheat protein to add moisture and shine to your hair. Add volume and body to thin, limp hair using this sulfate-free shampoo. Revitalize your hair to its fullest potential! HairGia Volumizing Shampoo 1 is perfect for normal, fine, limp, and color-treated hair. Created with the best natural botanicals and sulfate-free, our natural volumizing shampoo hydrates dry locks and adds volume to the roots of limp hair. When used in conjunction with HairGia’s natural botanical conditioner and styling products, your hair will be vibrant and healthy! DIRECTIONS: Shampoo your hair with the desired amount of Volumizing Shampoo. 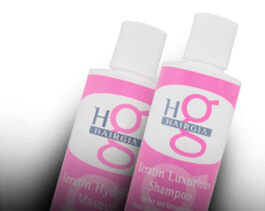 Rinse hair thoroughly and use HairGia conditioner to hydrate hair and lock in moisture. Style as usual and finish with HairGia Creative Hair Spray. We recommend using the Volumizing Shampoo with our Daily Hydrating Conditioner and finishing your hairstyle with our Creative Hair Spray. The HairGia family is dedicated to creating the best quality hair products full of natural botanicals for our wonderful customers. Every one of our products is tried and tested by our own family to make sure that they all produce the best results. Filled with natural botanicals that have been shown to promote healthy hair, our products are environmentally friendly and contain no sulfates. 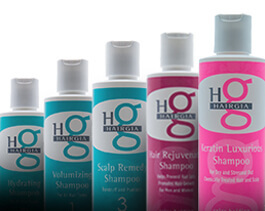 Do you have questions, comments, or concerns about our hair care products? We love to hear feedback from our customers! Please contact us online!